I guess most couples have funny phrases or things they say that only they get. Actually, lots of times, many couples have the same set of things they say. My blog friend Capri-Kel is a master of funny words and statements and I think we probably share a lot of the same phrases. In our case, many come from a handful of movies we really enjoy. For instance, the BBC version of Pride and Prejudice is loaded with awesomeness and also many good lines that we use as they appropriate situation arises. Another favorite is Good Morning Vietnam. Most of you who have seen it know the line when Robin Williams gives the weather report…”it’s hot, #$@% hot…so hot you could fry a snake’s @ss”. That’s a line that Emily and I use pretty much every time that one or the other of us asks about the upcoming weather. That’s a long bunch of rambling just to say I bought a kerosene heater this weekend. There is a church about a quarter mile down the road that has a junk sale every year. It’s sort of locally famous and with good reason…there is a little bit of everything there. So, I was among the early birds this year. I woke before the rest of the family on Saturday and decided to walk in the rain over to see the stuff in this year’s sale. I walked in and immediately spotted a poor, lonesome kerosene heater and they only wanted $10 for it! Of course, new, such a heater would go for $100 or more so I was pretty pleased with myself. Of course, since I wasn’t thinking properly at 8 am on a weekend, I didn’t think about the fact that I had to walk a quarter mile home in the rain carrying a kerosene heater that seemed to grow increasingly heavy. 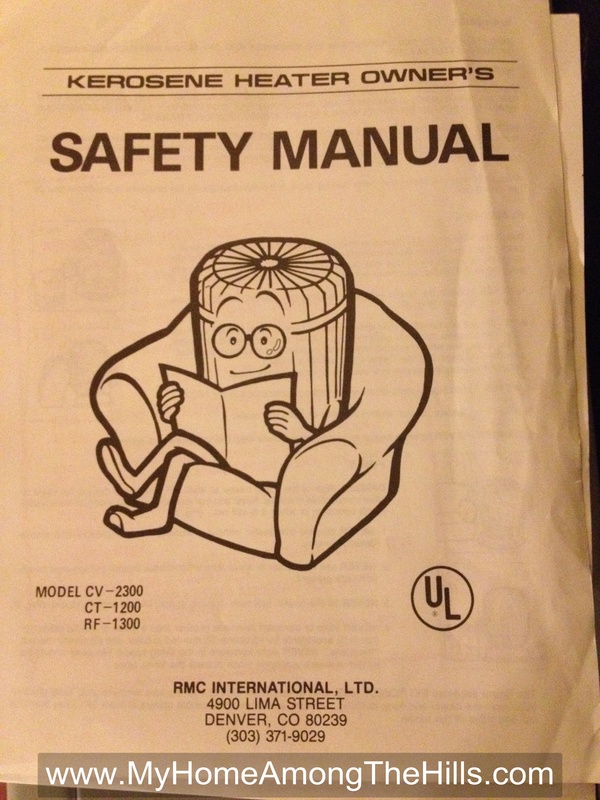 This silly manual came with the heater…it’s so goofy I am tempted to actually read it! 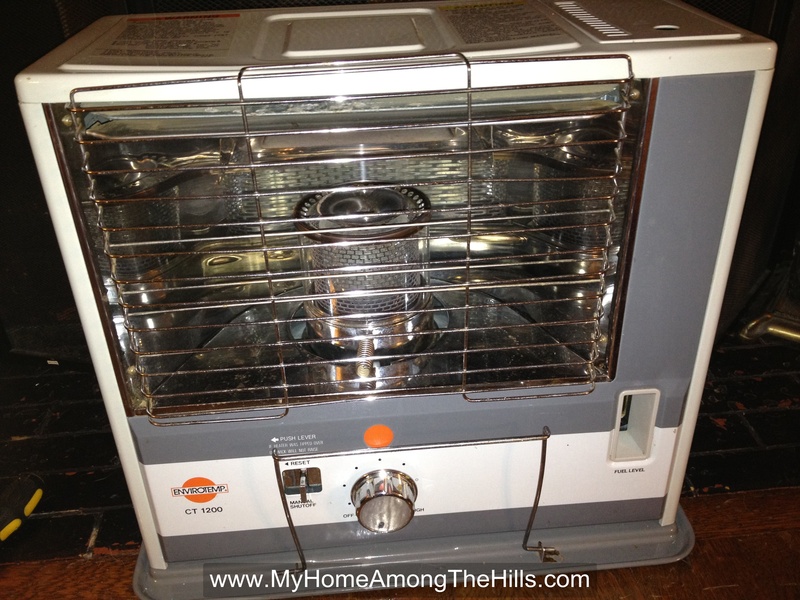 We didn’t have to own a kerosene heater but this winter when the power eventually goes out, we will have some heat. That’s way better than burning the dining room table in our questionable fireplace. I love to go junkin’ (that’s a word I picked up from my friend Granny Sue). Mostly I am not a packrat and I do not usually buy anything when I go to a yard sale but I really like to check out other people’s junk and occasionally find a deal that is hot, dang hot! Blazing Saddles provides a plethora of great one liners that aren’t appropriate for any occasion. WARREN! You big old hunk of honey! Galaxy Quest, That Thing You Do, Star Wars, the Indiana Jones movies, oh, too many resources to count!!!!! And Mrs. Schmenkman and her family don’t get ANY of them! Honey is a well seasoned garbage picker and he is mentoring The Boy. There is only 1 rule I am aware of. Never pick on your own street…….in the daylight. I prefer thrift stores in my pursuit of other people’s junk! Emily’s right, it sounds BAD! 1- Do it in such a way that they won’t know what you are doing. 2- Do it in such a way that your WIFE doesn’t know what you are doing. GW – I needed to know that before I wrote the post!!! Thanks anyhow! Make sure you test out that new heater BEFORE you need it. It won’t do you any good if it doesn’t work.